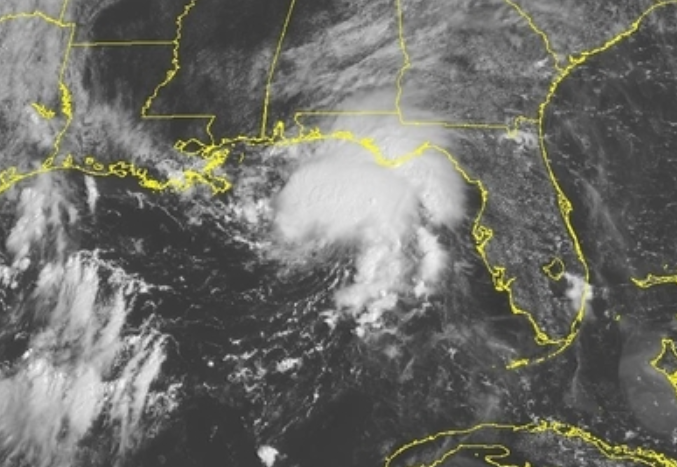 Tropical Storm Gordon remains on track to make landfall somewhere along the Gulf Coast tonight. A Hurricane warning is in place from the mouth of the Pearl River to the Florida-Alabama line. Tropical Storm warnings are in effect in areas to the west and east, respectively. Life threatening storm surge is possible as Gordon moves toward shore. Storm Surge warnings are in place from Shell Beach to Dauphin Island. 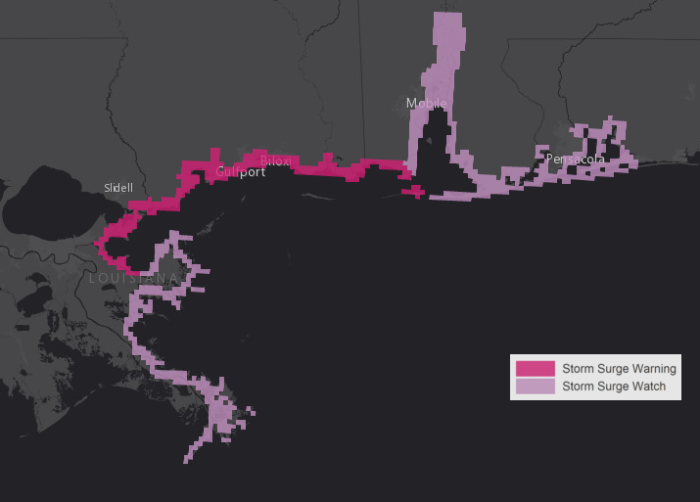 Storm Surge watches are in effect from west of Shell Beach to the mouth of the Mississippi River and from east of Dauphin island to Navarre. As of 10 AM ET, Gordon was moving to the northwest around 15 mph. Landfall is expected sometime tonight along the north central Gulf Coast. Maximum sustained winds remain around 65 mph, however, some strengthening is possible today. 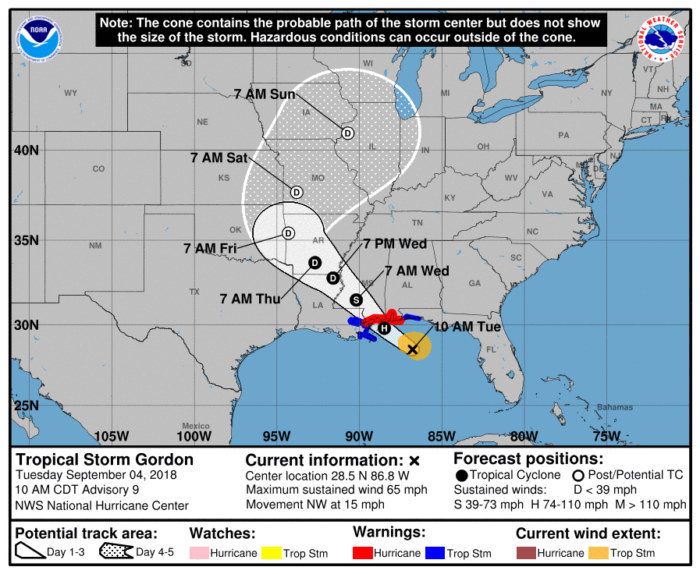 Gordon is forecast to be a Category 1 hurricane when it makes landfall. In addition to dangerous storm surge, very heavy rainfall is also a concern. Flash flooding will be possible as 4-8″ of rain is possible with some areas picking up closer to 12″ by Thursday. A few tornadoes are possible late this afternoon and tonight as Gordon approaches the Coast.